If you’re partial to a can of Pepsi Max at lunch, or enjoy a splash of Coke Zero with your favorite rum — you might want to put that drink back on ice. According to a new study, just one diet drink a day can triple the risk of a deadly stroke, with researchers also finding the beverages have a “worrying association” with dementia. 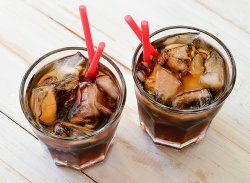 The team of researchers from Boston’s University School of Medicine, said that people who consume a can of artificially-sweetened soft drink a day were at three times the risk of suffering the most common form of stroke compared to non-drinkers. The U.S. study also indicated that diet soft drink fans were 2.9 times more likely to develop Alzheimer’s. But after accounting for all lifestyle factors, the researchers found the link to dementia was statistically insignificant, however the impact on stroke risk remained. 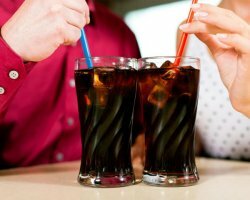 The study, which looked at ten years’ worth of data from more than 4,300 people, indicates that people need to look beyond the word “diet” when making drink choices.